As I mentioned in my “review” of Ramen Nagi, my palate isn’t very sophisticated, and my only classifications for food are: good, bad, and okay. But if it has a Michelin star, it must be good, right? So when news spread that the first Michelin-starred restaurant is about to open a branch in Manila, everyone was excited. I’ve been seeing Tim Ho Wan’s space in Glorietta for months, but for some reason, the branch in the SM Mega Fashion Hall opened first. I’m sure you’ve heard about the queue that snakes outside the door and the time diners have to wait before getting a seat. I never got the opportunity to check it out because I live so far down the south. When I’d be in the SM Mega Fashion Hall, it’ll be to cover an event, and I usually go alone. 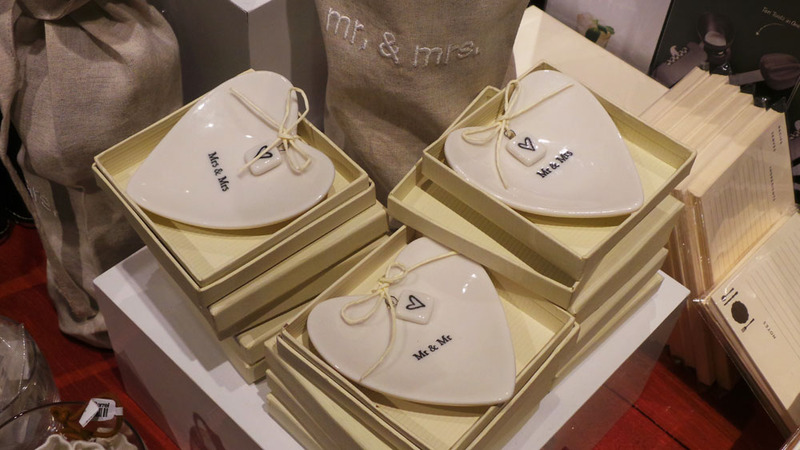 Crate & Barrel supports marriage equality! One Saturday, my man and I were at SM Mega Fashion Hall. We had come from Robinson’s Magnolia to visit H&M Home (which turned out to be a section in H&M and not a standalone store as I had thought), and we went to Fashion Hall to check out Crate & Barrel (classic but expensive; I found a percale cotton bedsheet that was to die for). This was a few months after the opening of Tim Ho Wan, so we assumed the noise would die down. But no, the line was still packed. I was hungry at that point, so we ate instead at Yakitori One at Food Hall. The SM Mega Food Hall has a warm and inviting feel. The Food Hall was designed and executed by Ideamax Designs Inc.
We also had Sweetea’s, the new tea shop of da.u.de. They had interesting drinks, but I felt it was a bit too watery. I like the teas at da.u.de more, which had stronger and more robust flavors. 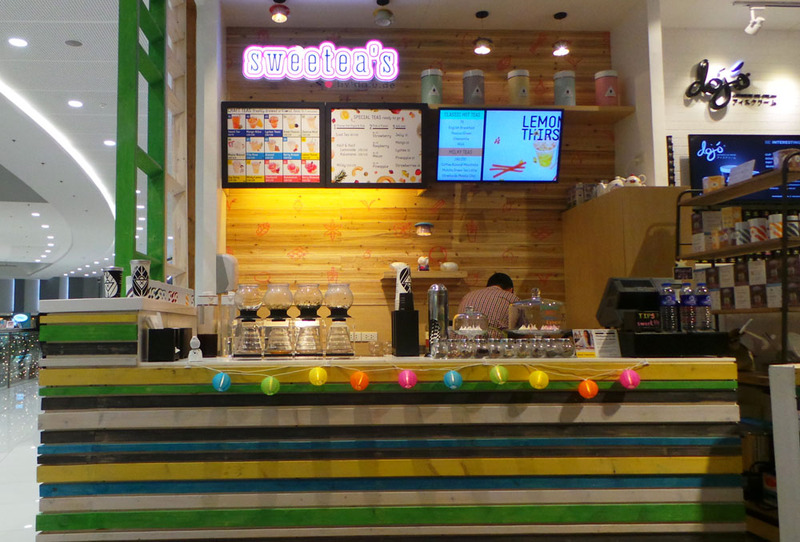 Sweetea’s had a cute-looking booth, with lights made out of upside-down teacups and saucers. We decided to have Tim Ho Wan the following week at their Glorietta branch. The line was much shorter. I think it’s because dim sum is easy to eat and doesn’t take much time. We didn’t eat that long either. I think we left after 30 minutes. Tim Ho Wan is a big deal in Hong Kong. In the whole world, actually. It’s tagged as the most affordable Michelin-starred restaurant. And by affordable, we mean P145 for one order of the famed baked buns with BBQ pork. The growth of Tim Ho Wan is interesting because it started in 2009 as a hole-in-the-wall concept in Mong Kok. 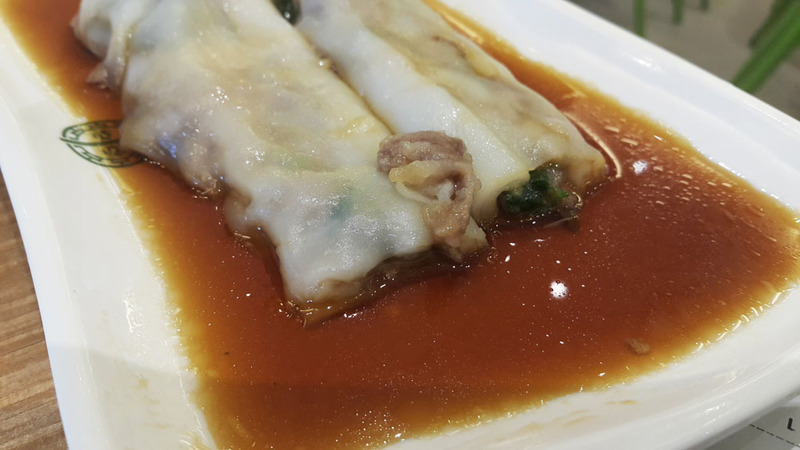 Within its first year, the Hong Kong and Macau edition of the Michelin Guide (which awards stars to excellent restaurants around the world) gave one star to this humble dim sum place. They’ve held the star for five years in a row now, and the restaurant is the only Michelin-starred dim sum place in the world. My man and I had the Big 4 Heavenly Kings, but they were out of the steamed egg cake. So instead, we had the baked buns with BBQ pork, the vermicelli roll with pig’s liver, and the pan fried carrot cake. Can I just say that I am in love with the baked buns with BBQ pork? The soft and light but slightly-crunchy bun tenderly opens to a generous helping of BBQ pork, which is both sweet and savory. Each order comes in a set of three, but it’s tempting to order a lot more. From the open kitchen, I could see a large oven dedicated solely to the prized pork buns. The vermicelli roll with pig’s liver is also good. The bitterness of the liver is balanced by the sweet sauce, which I loved. I also liked the pan fried carrot cake, but I could taste the radish more than the carrot. I think this was my least favorite of the three (my man’s, too). 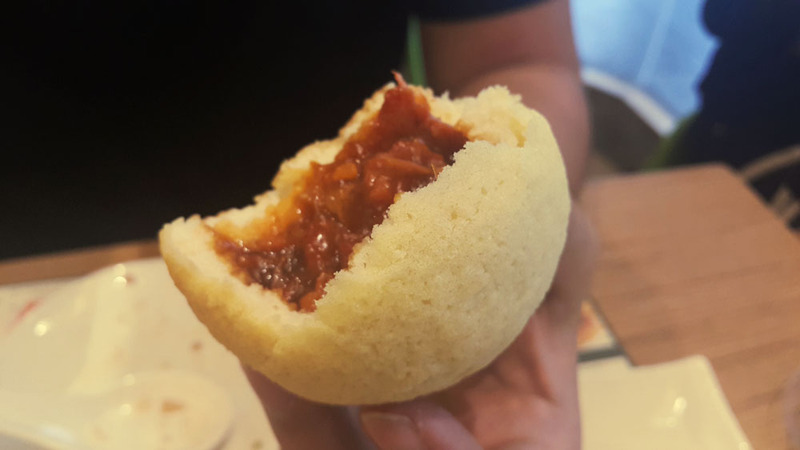 My man and I were supposed to go to Tim Ho Wan in Sham Shui Po in Hong Kong (one of the original branches), but it was out of the way and we didn’t have enough time. I won’t be able to compare the food here and in Hong Kong, but the kitchen in Glorietta had two Chinese chefs, so I’m assured that they’re working hard to maintain the quality of their Michelin-starred Hong Kong base. The interiors of the place is well-lit. They have the advantage of being placed right outside Glorietta, so they maximized natural light with wall-to-floor windows from end to end. 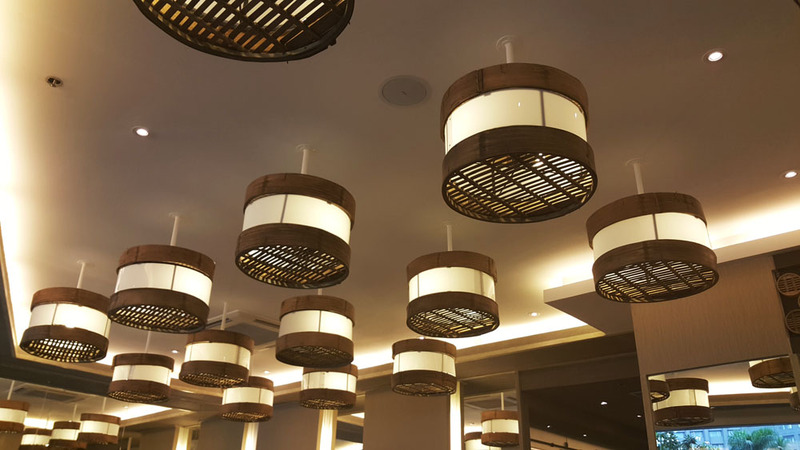 They also had interesting light fixtures: dim sum bowls! I want to go back and order baked buns again. And try that steamed egg cake. And hakaw, which is my favorite dim sum. And more baked buns.